Program #PARC001. Recorded in Santa Monica, CA on September 26, 1999. The 19th century robber baron Jay Gould once boasted that he could “hire half of the working class to shoot the other half.” With the rapid growth of the prison industry in the United States, that comment could be adapted for a future where half of the people are guarding the other half. Billions are spent every year on building new prisons; billions more go to running them. Over half a million people now work in the corrections industry in the U.S., and about two million are behind bars. Laws are passed at the state and federal levels that encourage increased policing and incarceration. The money to pay for it all comes at the expense of social programs. 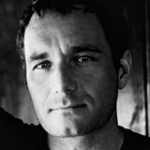 Christian Parenti examines the social, political and economic issues that are at the root of the growth of the police states over the past three decades.